From befriending Queen Victoria to appearing on Family Guy, British Prime Minister Benjamin Disraeli is a modern icon. In his new column, Simon Doonan explains why the long-dead leader is now wildly cool. Benjamin Disraeli was born 205 years ago this year. A charismatic attention-junkie from the get-go, he dropped out of law school and skipped off to the Far East for a Byronic interlude. He returned from his travels with the kind of souvenir every Jewish mother dreads: a nice dose of clap. After a bracing mercury cure, he launched into a newspaper career and began churning out books with strange exotic titles like Vivian Grey and The Voyage of Captain Popanilla. “When I want to read a book, I write a book,” quipped the prolific and bestselling overachiever. His political career was harder won. Benjy ran for office five times before becoming a member of Parliament. Once he got his foppish foot in the door, he celebrated by unleashing the full majesty of his pent-up fashion exhibitionism. In the dusty corridors of power, Disraeli was an exotic orchid whose drag enlivened many a boring wet Monday. While the bombastic power-toffs were repelled by his lace-and-brocade flamboyance, few could fail to be amused by his playful badinage: When his ethnicity was dissed by an adversary, Disraeli replied, “Yes, I am a Jew and when the ancestors of the right honorable gentleman were brutal savages in an unknown island, mine were priests in the temple of Solomon.” Sashay! Touché! Benjy ran for office five times before becoming a member of Parliament. Once he got his foppish foot in the door, he celebrated by unleashing the full majesty of his pent-up fashion exhibitionism. Mazel tov on the back-scratching! 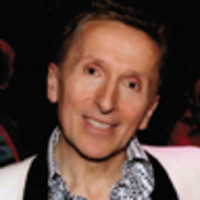 Writer, fashion commentator and window-dresser, Simon Doonan is known for his provocative "Simon Says" column in The New York Observer. He has written four books: Confessions of a Window Dresser, Wacky Chicks , a memoir entitled Nasty, and a tongue-in-cheek style guide entitled Eccentric Glamour to be published in paperback in mid-April. A comedy TV series entitled Beautiful People , produced by Jon Plowman, will debut on LOGO in May.